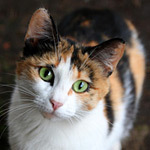 Tell the Smithsonian: Stop spreading junk science that will kill cats! Articles scapegoating cats have been all over the news. These stories are based on biased research that could lead to more outdoor cats being rounded up and killed. The new so-called “study,” funded by the Smithsonian Conservation Biology Institute and the U.S. Fish and Wildlife Service’s Division of Migratory Birds, recklessly perpetuates a bogus debate. It’s time for the Smithsonian to disavow this research, stop funding this junk science, and turn their attention to remediating the real threats to wildlife populations. Scapegoating cats may seem like the easy answer, but in reality, killing more cats will not save populations of birds or small mammals. It is a direct attack on our progress with Trap-Neuter-Return. In communities across the country, TNR stabilizes and reduces the population of feral cats and saves millions of cats from being killed in shelters. Please join us by standing up for cats today. Sign our petition telling the Smithsonian to stop spreading junk science.